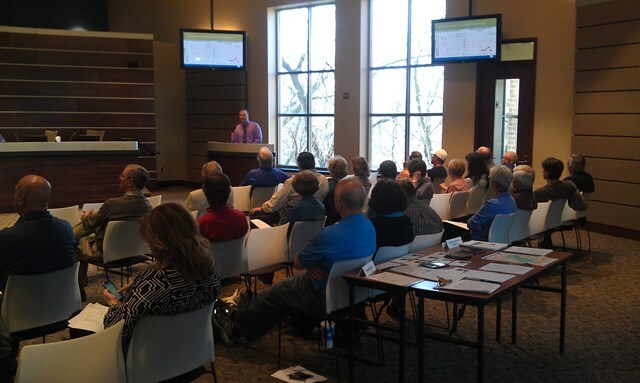 Last week the PLSLWD hosted a public informational meeting on April 30th about the potential alum treatment of Spring Lake at Prior Lake City Hall. What is an Alum Application? Local agencies involved in the Spring/Upper Prior Nutrient TMDL will be attending another meeting on December 19, at 1:30 PM at the Spring Lake Town Hall. 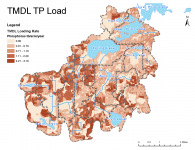 Phosphorus loading in the watersheds to Spring and Upper Prior lakes. On August 15 a group met at Prior Lake City Hall to discuss the Implementation Plan for the Spring/Upper Prior Total Maximum Daily Load Study. City of Prior Lake, Spring Lake Township, Minnesota Pollution Control Agency, Board of Water and Soil Resources, Scott Watershed Management Organization, Shakopee Mdewakanton Souix Community, and other agencies were all represented at the meeting. A draft of the Implementation Plan was distributed and reviewed, and the Watershed District heard comments from the various representatives at the meeting. This input process will make the final plan coordinate more closely with existing planning efforts, such as the ten year Watershed District comprehensive plan and the capital improvement plans for both the City of Prior Lake and Spring Lake Township. One more stakeholder meeting will be held to clarify how load reductions will be calculated for reporting to the MPCA. Before the Implementation Plan is approved, a public hearing at a regularly scheduled Watershed District board meeting will be held.